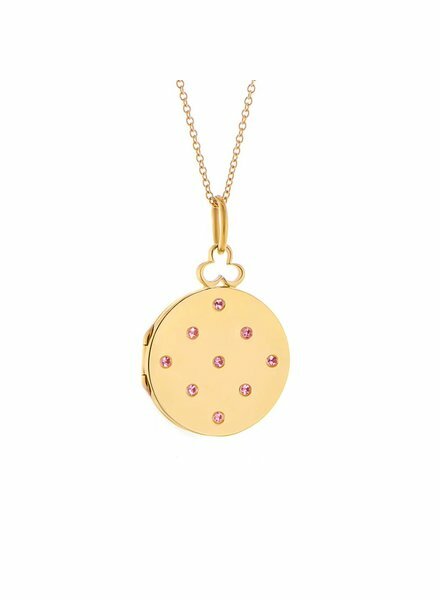 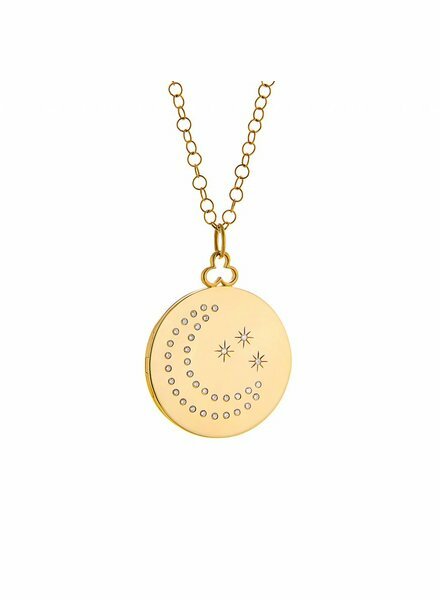 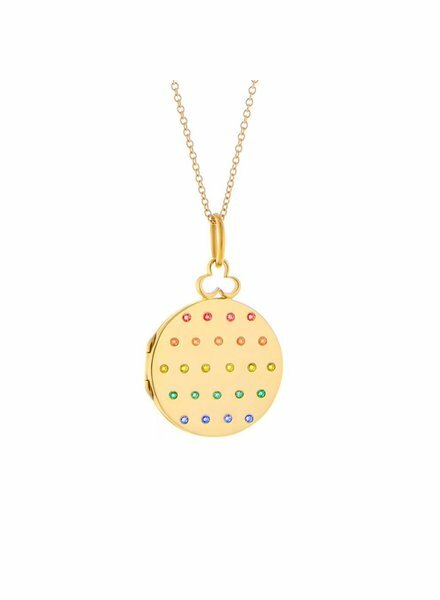 34mm, 18k Yellow Gold & Diamond Moon & Stars Locket. 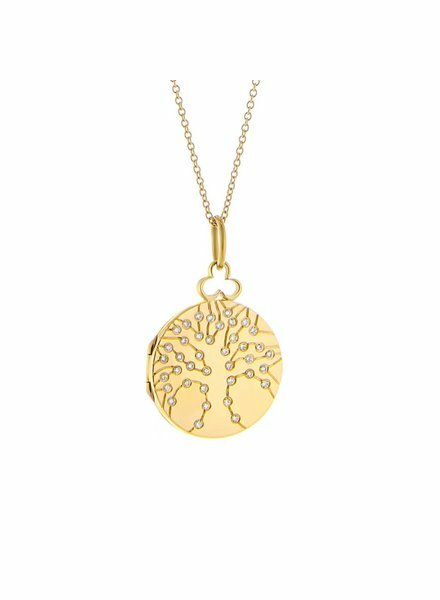 Open Link Chain That Measures 30". 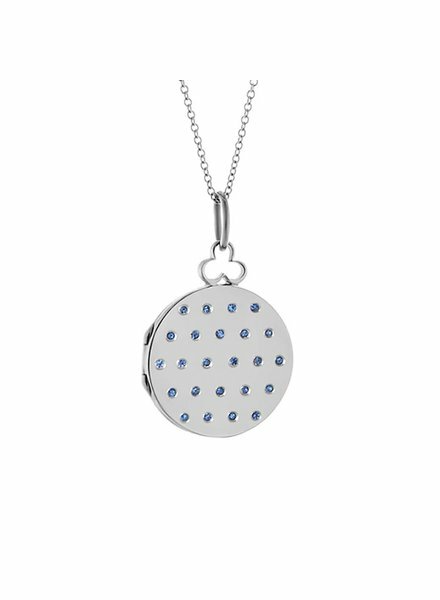 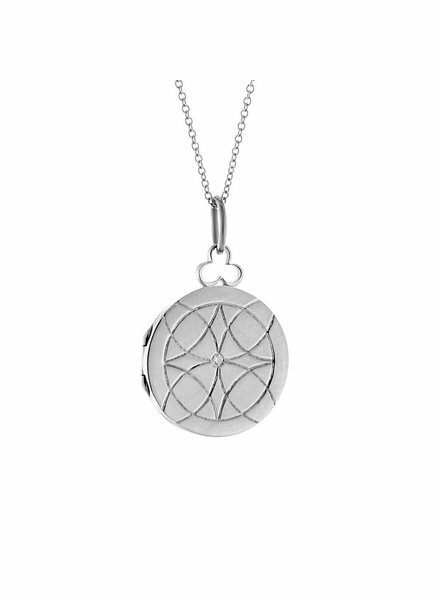 18mm, 18k White Gold & Sapphires, The Jane Locket, Shiny Finish; Chain length is 16" Open Work Chain.